If you are using the right methods and appropriate products then it is not difficult to clean the carpets at home, here some easy ways to clean carpets at home. If you are going to make use of these products and methods regularly for carpet cleaning then deep cleaning of carpets will become much easier. It is a must to vacuum your carpets at least once in a week in order to improve its life time and to keep quality maintained. The areas that are more prone to dust and dirt must be cleaned more often. In this way, you can avoid the building up of dirt and the life of the carpet will be prolonged. 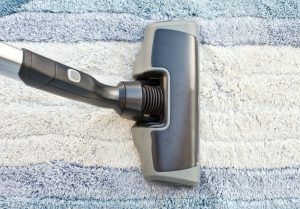 Here are given some tips and tricks that can be followed to remove the bad odour and stubborn stains from your carpets. By following these tips and tricks carpet cleaning can be made possible at home with perfection. Carpet shampoo is one of the most common products that are largely used by the people for carpet and rug cleaning. A number of brands have introduced their carpet shampoo; you can select the one by following the labels and instructions. It is important to follow the label and instructions so that your carpet might not get damaged. Always go for the product that is designed according to your carpet. The shampoo must be used as per direction. Just take a little amount of shampoo that can cover the area that is needed to be cleaned. Taking the larger amount will cause the carpet to become too wet and also the dry time will be increased. Rub the stained area with some hard bristle brush. After that wait for the carpet to get dried and then vacuum the shampoo. Many people still prefer the method of soap and water over the shampoo. It must be kept in mind that this method is quite outdated and it does not work well with deep seated odour and obstinate stains. Other popular method for carpet cleaning is to make use of carpet powder. Carpet powder is really a quick method if compared with carpet shampoo. For shampoo you need to wait for long to get the carpet dry and also you have to limit yourself from that area. On the other hand, you can vacuum the carpet powder much quickly and the results are good as well. Like carpet shampoo, it is required that you must go through the instructions properly. There are many other natural products that can help you in carpet cleaning. These are some everyday kitchen closet staples that can really do the magic. Salt, soda water and baking soda are few of these items that can do the wonder. But it is highly recommended that always test the new product on some less visible area first so that you might know the result. No matter which product you are using it is always advised that as soon as you get any stain, try to remove it before it gets dried. Otherwise, it will get harder to remove and it might leave its mark as well. Always blot the stain instead of wiping it off. Wiping off might smudge the stain. For sticky stains, always make use of the ice cube first. Similarly, with smelly stains always make use of vinegar before using any powder or shampoo. By following these tips you can enjoy a fresh and stain free carpet. Furthermore, if you are following these tricks then your carpet will have a long life. For more ways to clean carpets, subscribe to our newsletter.